Sports guy Chris Hagan is soon available. He says, "From the NFL and NBA, to local high school athletes and beyond, there's no story too big or too small to tell!" From Louisiana, Chris is an advanced-level tennis player. Contract ends 10/1/2018. Please take a look. See all of Chris's clips. WVUE-TV, New Orleans: Weekend Sports Anchor and Reporter (October 2015 - present). Co-Host of Saints pre-game shows. On Saturdays, responsible for producing and anchoring about ten minutes of content for the 9pm and 10pm shows. Also, anchor a Friday night high school football show and fill-in host the Saints review show on occasion. Constant posts to Facebook and Twitter. Populate the WVUE "Final Play" app which covers Saints/NFL with all original content. MMJ as needed. Team player and multi-tasker. WAFB-TV, Baton Rouge: Weekend Sports Anchor and Reporter (September 2013 – September 2015). Covered LSU, Southern and Saints football with live reports or PKGs daily. Anchored high school football show. Often responsible for one-man band reports. Posted web articles. Produce 30-minute specials. Worked closely with WVUE Sports department assisting with LSU coverage in all sports. Covered SWAC Championship Football, Saints in NFL playoffs, LSU baseball in Omaha at College World Series. Posted videos, teases, updates and breaking news to Twitter account. KSNF-TV, Joplin (September 2011 – September 2013): Weekend Sports Anchor and MMJ. Produced and hosted 30-minute coach's show with Missouri Southern State University basketball. WBRZ-TV, Baton Rouge (May 2010 – September 2010): Sports Internship. LSU’s Sports Showtime, Baton Rouge (January 2008 – May 2011): Anchor/Producer/MMJ. ESPN Football Coverage, LSU vs. App. State, Baton Rouge (August 30, 2008): P.A. HolyTurf.com (August 2010 – May 2011): Reporter. Louisiana State University, Baton Rouge: Bachelor of Arts, Mass Communication. Concentration: Broadcast Journalism. Minor: Sports Studies. Experienced with multiple versions of Edius, Avid Newscutter XP and Final Cut. Steve Schneider (former supervisor), Sports Director, WAFB-TV, Baton Rouge, 225-202-8250. Jacques Doucet (former co-worker), Weekend Sports Anchor, WAFB-TV, Baton Rouge, 225-337-5150. 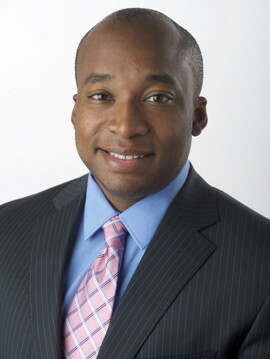 Juan Kincaid (current supervisor), Sports Director, WVUE-TV, New Orleans, 504-312-2566‬.